A kid finds a lost 'thing' on the beach where he's scavenging for his bottle top collection. The thing is a large, freakish creature but no-one else really notices it it's simply not a part of their familiar day-to-day reality. So the kid takes it upon himself to try to find where the lost thing belongs. 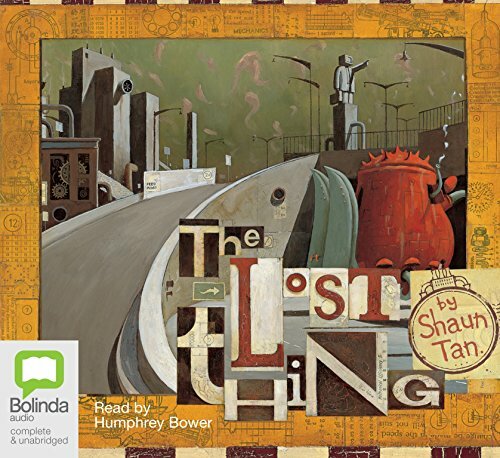 Shaun Tan ("A Day in the Life") grew up in Perth, Western Australia, and made up for the fact that he was the shortest kid in every class by being known as a "good drawer." Besides working full-time as an illustrator of his own stories, Shaun has worked as a designer in theater and film, and also directed the Academy Award winning short film The Lost Thing.